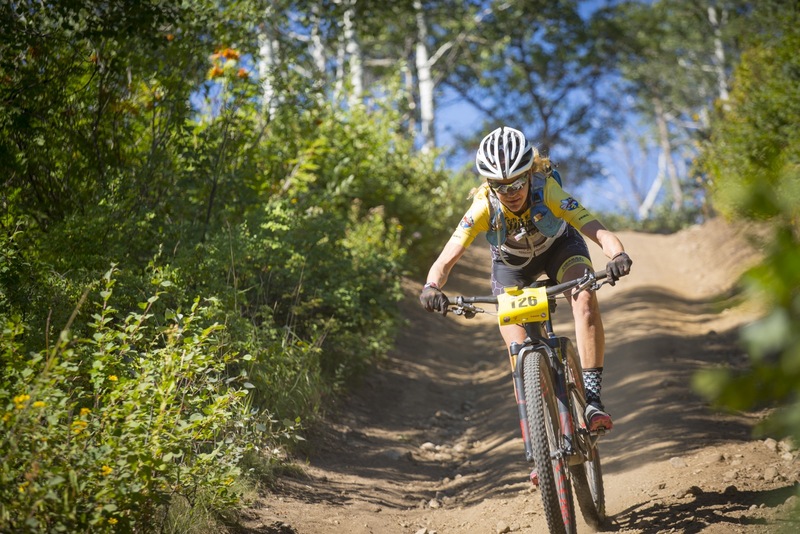 Racers returned to Steamboat Springs this past weekend for the sixth annual Steamboat Stinger, Honey Stinger’s two-day mountain bike and trail running race. This year drew the event’s biggest crowd yet across both the mountain bike and trail running races, with Colorado and local Steamboat athletes dominating the competition. Saturday’s mountain bike race challenged competitors to complete the 50-mile course in two laps or in a duo team with racers alternating laps. Megan Carrington of Denver took first for Solo Pro Women with a time of 4:57:04 and Chris Baddick of Boulder took first for the Solo Pro Men with a time of 4:10:28. For the duo teams, Honey Stinger/Bontrager team members Ken Benese and Trevor Walz dominated the men’s field with a combined time of 4:10:45. Melanie Henson and Rebecca Howland finished first for women with a total time of 5:27:35, and Honey Stinger Hive athletes Brad Bingham and Hannah Williams took first for the coed division with a time of 4:29:22. The trail marathon and half marathon took place Sunday, with the marathon utilizing the same route as the mountain bike race and the half marathon utilizing a portion of the route. Golden’s Matthew Kempton won the men’s marathon with a time of 3:12:02, and Jordan Jones, also of Golden, finished first for the men’s half marathon in 1:27:04. Emily Harrison of Flagstaff, Ariz. dominated the women’s marathon with a time of 3:30:53, and Sarah Pizzo of Denver took first for the women’s half marathon with a time of 1:39:39. The biggest feat of the weekend was not the 50-mile ride or the marathon, but a combination of the two—an accomplishment so great that the winner with the fastest combined time is crowned King Sting or Queen Bee. Steamboat’s Kelly Boniface took the title of Queen Bee, finishing in a total time of 9:38:18. Boulder’s Huybert Groenendaal was crowned King Sting, finishing in a total time of 8:44:53. The 2016 Steamboat Stinger concluded the Colorado Mountain Town Series, a summer-long series that combines the three classic Colorado mountain bike races including the Gunnison Growler, Firecracker 50 and the Steamboat Stinger. This entry was posted in Company News, Hive News, Team Honey Stinger/Bontrager and tagged Big Agnes, Colorado Mountain Town Series, Firecracker 50, Gunnison Growler, Honey Stinger, IMBA, King Sting, marathon, mountain-bike, Partners in Routt County, Queen Bee, Routt County Riders, Steamboat Stinger. Bookmark the permalink.